Our Kiwanis club commitment to the Pasadena Ronald McDonald House “Meals of Love” program to feed the home’s guests. Our Board has decided to increase our participation to provide meals every other month. Please consider joining us to prepare, cook, and serve meals to the guests. It is a rewarding gesture of love to the families, patients, and meets our goals to service to children around the world as many of the guests are from other countries. Please join us next on Thursday July 24, 2014 at 5PM or soon as possible thereafter to join in on the fun and meaningful service. PS. Pasadena Ave is a one way street at this location. Please approach from the south at Bellefontaine and head north. Parking is on the street in front or enter the driveway between the 2 brown buildings and park in the back. If anyone wishes to plan a meal and purchase food, you will be reimbursed by our club. We prepare food for 30 people which usually accounts for 5 people from our club to have dinner along side the guests. 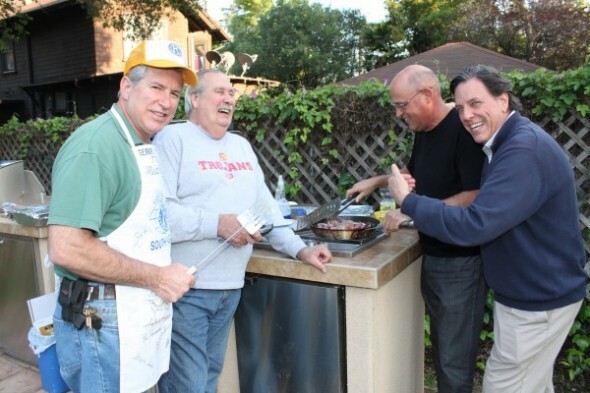 of Love | South Pasadena Kiwanis Club, actually enjoy it.